The ultimate goal of most people who ever go on a date is to get married and settle down, eventually. However, in India things work differently – although there aren’t any laws about it, arranged marriages are a strong, unyielding, and rigid tradition that’s present to this day on the subcontinent. Despite this, marrying out of love is still possible (and popular) in India, which means we’re now left with two options. The question is: which one is better. The 1.3 billion people subcontinent that is India still practices arranged marriages, and one could say it’s for a good reason. In this case, it’s not two people that are getting married, but two families – it’s basically a contract between two couples of parents based on a number of social and economic criteria. Now, the western world has the idea that arranged marriages are the same as forced marriages, where the bride and groom-to-be have absolutely no say in who they’ll marry, while actually this is far from the truth. An arranged marriage in modern India still takes into account the preference and likings of the two people who are actually marrying, rather than giving them no way out. Interestingly enough, a survey from 2013 showed that about 75% of Indian youth would prefer an arranged marriage for themselves. There is a big downside to this, but it’s not as common as you might think. Although an arranged marriage in India is not the same as a forced marriage, these and child marriage cases still happen in the country. India has been struggling to abolish these ideas, but about 50% of young Indian girls still get married off while they’re still minors, especially in rural areas. Is It Love Or Disgracing The Family? Thanks to the ever-shining beacon that is Bollywood, India has been introduced to the concept of love marriages as late as the 1980s. 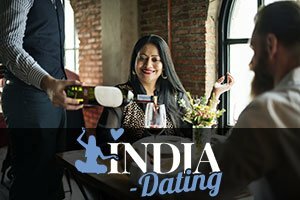 This idea became just remotely acceptable around this time, only to now become a totally normal option for Indian men and women of marriageable age. However, there’s a huge conflict that closely follows any love marriage – family and caste honor. Despite the fact that we’re living in the 21st century, India is still familiar with honor killings, in which cases a boy or a girl can get killed for opposing a match made by an arranged marriage. Although love marriages are now a thing in India, there are still quite a few obstacles in its way (aside from the obvious life-threatening one). Inter-caste and inter-religion marriages are frowned upon by the society, while family honor is still something much bigger than true love. In other words, an Indian man or woman will have a hard time accomplishing the goal of marrying someone who is not a part of their caste or doesn’t believe in the same god (or gods) as they do. Also, there’s the ‘my family might kill someone’ part. Nonetheless, love marriages are currently on the rise in India, especially in urban areas and metropolitan cities in the country. This also gave way to dating, which is yet another phenomenon that is very much popular here. While some people believe in free will and choice, others are quite comfortable with being set up for a “till death do us part” by their family. When it comes to India, these two concepts are very, very different, yet both of them consist of good and bad parts. It’s not easy saying one of these marriage types is better than the other. Ultimately, it comes down to what you and your family believe in, your preference, and a bit of luck. Both cases can be fruitful – it simply depends on the situation.